Last year the girls reviewed cleverstix and I was surprised at how quick they took to using them. My eldest at 5 is now capable of using chopsticks and both girls still love using their cleverstix. The team at cleverstix have brought out a fork and spoon set which they have kindly sent to us for our honest opinions. 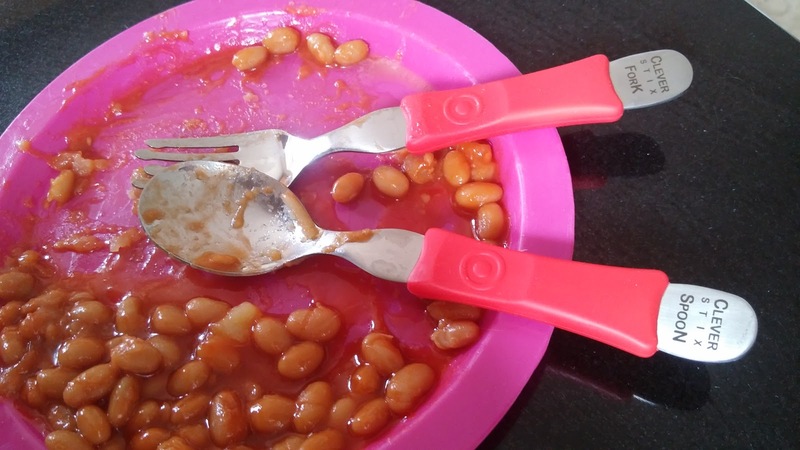 The spoon and fork have been designed for little people in mind. There are no sharp edges, the handles are ergonomic to hold which means children can get the optimum grip and they work with all types of foods. The fork and spoon are made of premium quality high degrade stainless steel and this is evident with the look and feel of the spoon and fork. My youngest is a very messy eater and she often uses just a spoon because she finds it easier. The spoon and fork set has provided her with confidence to use all cutlery. I think this is partially down to the fact there is less mess at dinner but also that they are comfortable and easy for her little hands to use. 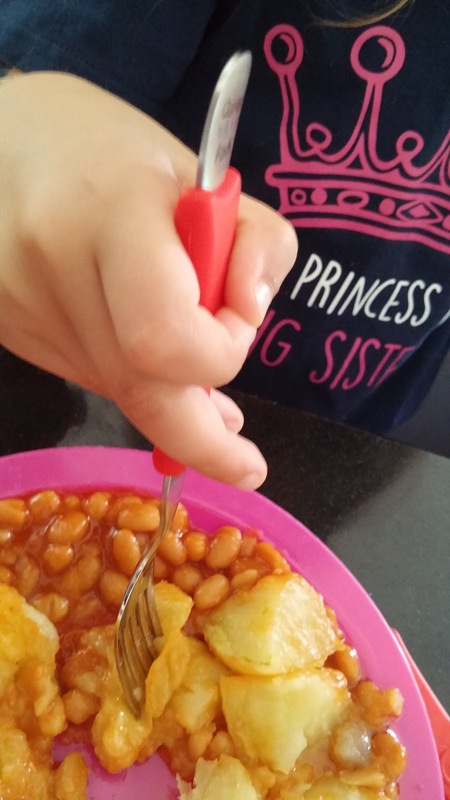 As my youngest is about to enter full time education I wanted her to be confident at school and have the confidence to use any cutlery. The spoon and fork set has given her skills to master swivelling action for eating pastas, and has helped her hand eye coordination. I love watching her confidence develop and this has certainly been the case with the fork and spoon set.